Key Program Features: Real-world experience, affordable, small class sizes, hands-on learning, professional opportunities, and an engaging faculty. If you are interested in a professional culinary arts program, head to Hocking College. Rated as one of the Top 10 Best Culinary Schools in Ohio by Best Choice Schools in 2017, Hocking College’s Culinary Arts program incorporates cooking and management skill training in a state-of-the-art cooking laboratory. As a student chef, you’ll gain hands-on experience through coursework and industry participation. You'll learn the fundamentals of culinary production as well as the management skills of the modern kitchen, leading you on a successful career path. One of the services used to help our graduates find jobs is through the Professional Chef and Culinary Network known as Chef Rolls. We also encourage graduates to keep their LinkedIn profiles up to date. 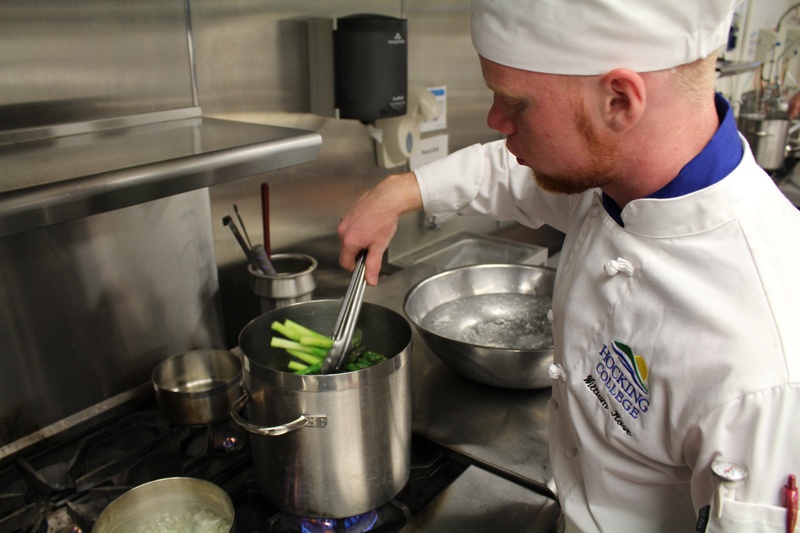 Cook with Hocking — Why Choose the Culinary Arts Program at Hocking College? We've got a few reasons. Watch the video below and see for yourself. Use recipes, production sheets, and function sheets in order to organize, order, and produce a variety of menus and events. The program is accredited through the American Culinary Federation Education Foundation Accrediting Commission.